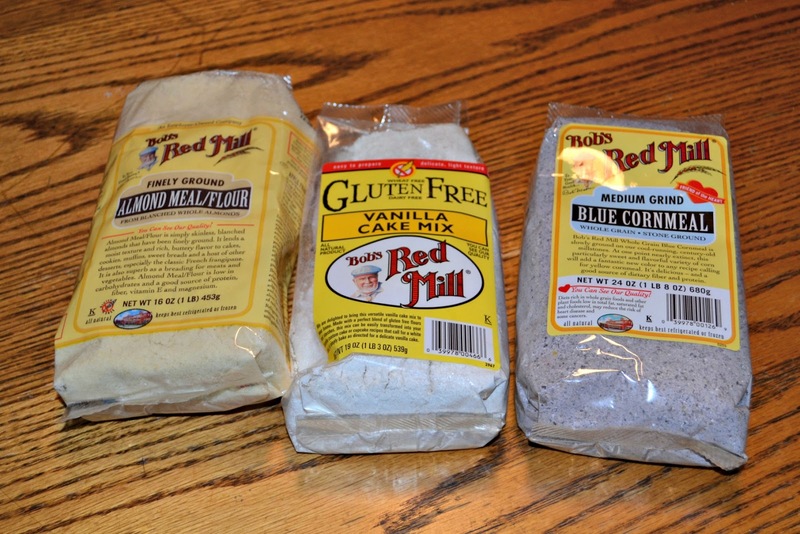 A few weeks ago I received a box in the mail from Bob’s Red Mill. I couldn’t wait to open up the box because I love using these products! Why? Because Bob’s Red Mill handles all aspects of the production process in-house, starting with processing, washing and inspecting the grain, and ending with shipping the finished product to your door. How many companies can say that? I’m sure you’ve seen me using the graham flour in a lot of my recipes lately. I’m not sure what it is about that flour but I’ve been loving it in my baked goods. 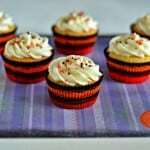 A few of my recent favorites are Bananas Foster Muffins, Cherry Filled Bundt Cake,and Banana Raspberry Muffins. 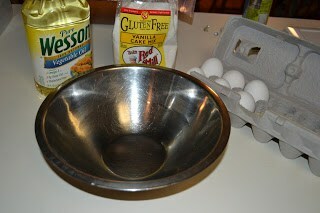 Anyhow, in my box of goodies were a package of Almond Flour, Blue Cornmeal, and Gluten Free Vanilla Cake Mix. 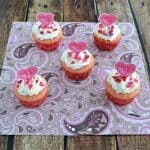 This week I’m sharing the recipe for the Gluten Free Vanilla Cupcakes and the next two Friday’s I’ll be sharing recipes for each of the other ingredients. Don’t forget to stop by and check them out because on the last Friday I’ll be giving away a Bob’s Red Mill gift package with the same ingredients I received! I often bake gluten free because many of the people in my life are eating gluten free. 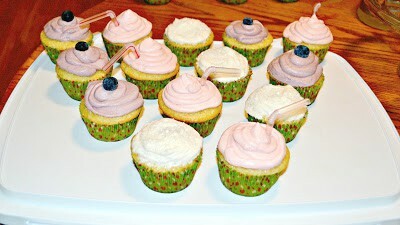 I’ve had a hard time finding ingredients to bake with that are gluten free and taste good. I was really hoping that Bob’s Red Mill Gluten Free Vanilla Cake Mix tasted great so that I could keep a package in my pantry for whenever we have guests that eat gluten free. I decided to try the mix on the most honest people I know…my students. 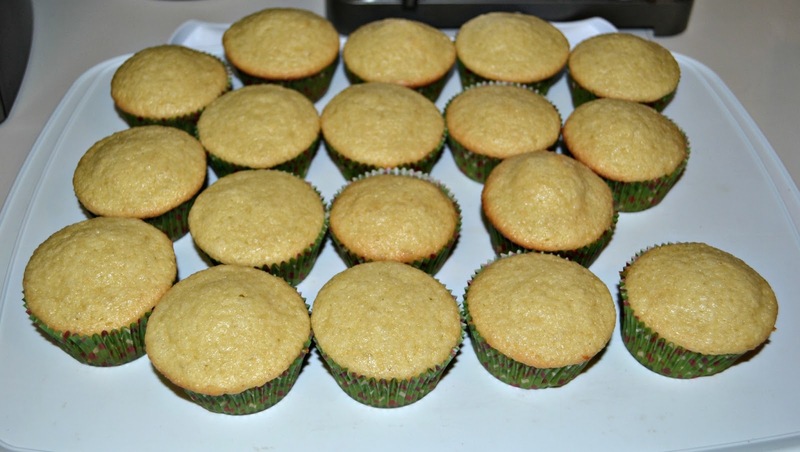 I mixed up the cake mix according to the directions, adding a bit extra vanilla, and made them into cupcakes. 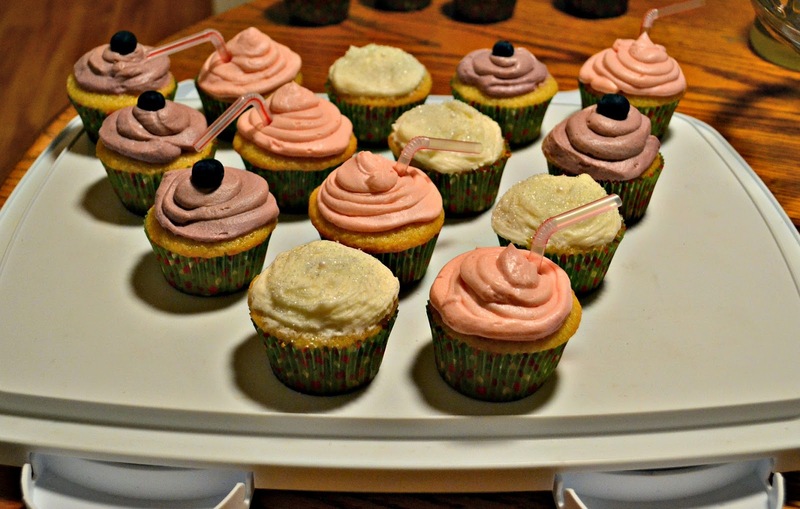 I frosted them with a simple gluten free frosting and served them to my students. They loved them and so did I! 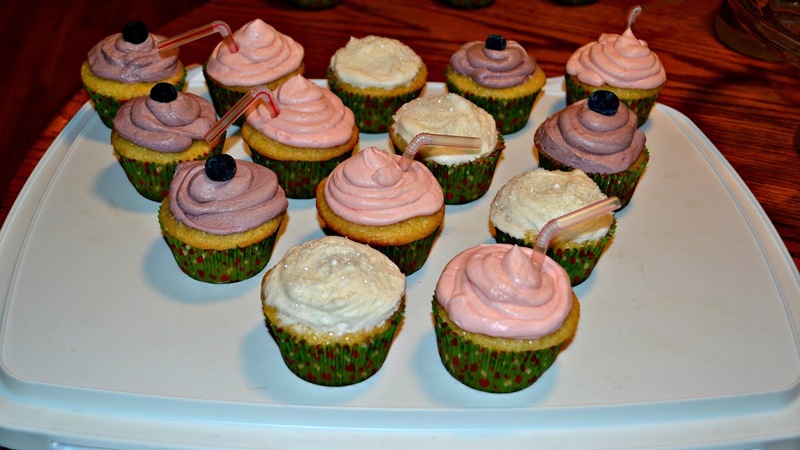 I could honestly not tell them were gluten free and the mix was super easy to use! I’ll be keeping a package or two of this mix in my pantry from now on. 1. Preheat the oven to 350 degrees. 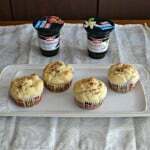 Line 18 muffin cups with paper liners. 2. In a bowl beat the eggs for 30 seconds. Add in the vegetable oil and water and mix well. 3. Add in the cake mix and stir well for 1 minute. Stir in the vanilla. 4. 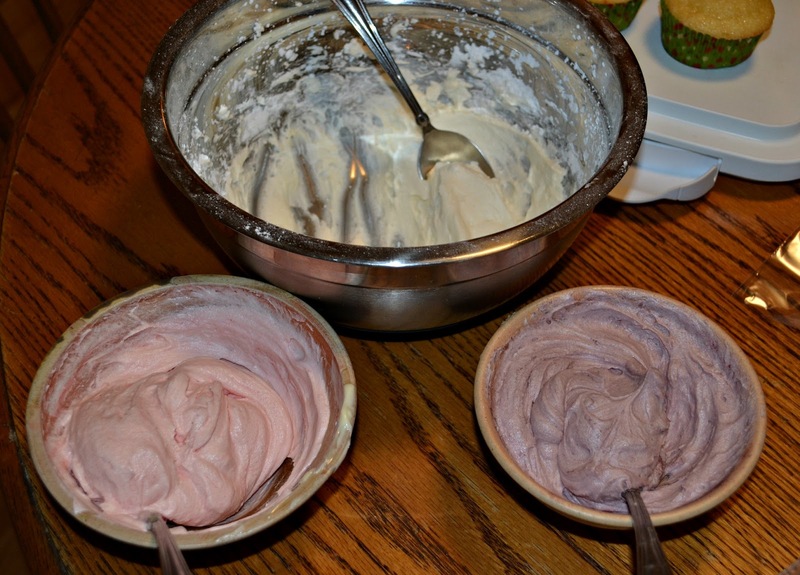 Divide the cupcake batter between the cupcake cups. Bake for 22-24 minutes. 5. Remove from the oven and cool completely on a wire rack. 6. In a large bowl combine the butter and vanilla. 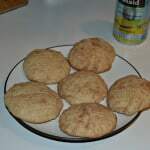 Beat with a hand mixer on medium speed for 1 minute or until smooth. Add in 2 cups of powdered sugar and beat until smooth. 7. Alternate adding in the remaining powdered sugar and milk, mixing on medium speed in between additions, until desired frosting consistency is reached. 8. If desired, divide the frosting into 3 bowls. Add the Flavor Creations packets to each bowl. 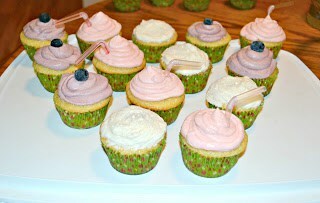 Pipe the frosting onto the cupcakes and enjoy! 9. To decorate: I kept one bowl vanilla, made one Pink Lemonade, and the last bowl White Chocolate Raspberry. I then decorated the vanilla ones with gluten free sprinkles, the pink lemonade ones with a straw, and the raspberry ones with a single blueberry. Disclaimer: I received a package of Bob’s Red Mill products from the company but all opinions are my own.